The Pavilion of Gwang-Ju was dedicated in October at the Denman Estate Park. 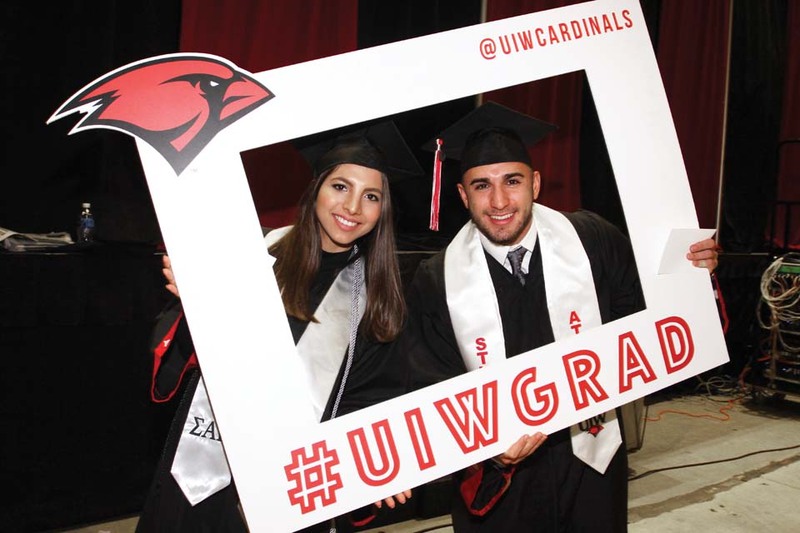 The University of the Incarnate Word is well known for its established partnerships with schools in cities across the globe. The City of San Antonio likewise is known for its sister city relationships. So it is fitting that a joint venture between the city and UIW would net international friends. Recently, a group of such friends from South Korea constructed and donated a large and ornate gift to the Denman Estate Park, jointly owned by the city and UIW. 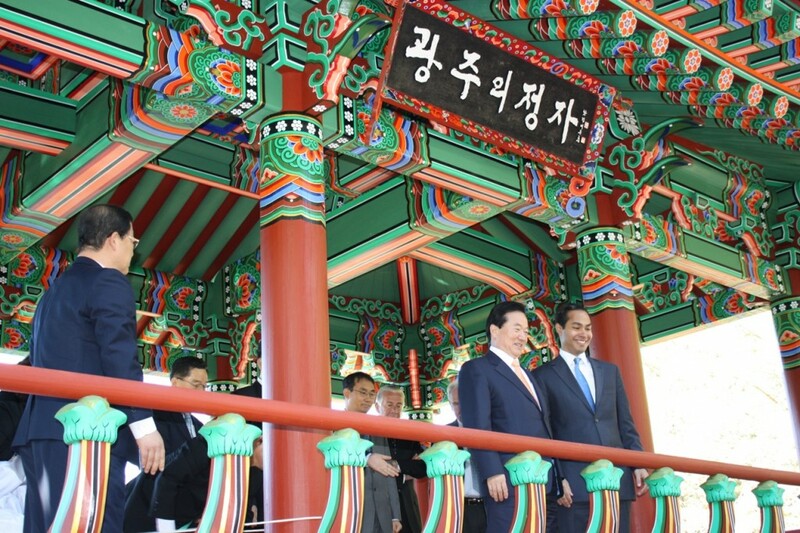 The Pavilion of Gwang-Ju, a present from San Antonio’s South Korean sister city, Gwang-Ju, and Nam-Kwang Construction, has been an idea in the making for more than four years. In 2006, the president of Nam Kwang Construction, Kim Dae-Ki, suggested the gift, and soon the Alamo City determined an appropriate location for the structure. It would be situated in the Denman Estate Park, part of which the university purchased in 2007. The traditional southern-style Korean pavilion is representative of the architecture of Gwang-Ju and establishes a closer bond between the cities. Preparation of the building materials required significant planning. Old growth red pine timber came from Canada to be milled two years after its harvest. Natural stone, granite and traditional Korean roof tile made of yellow clay used in the construction also had to be shipped from Korea. Skilled craftsmen from Korea traveled thousands of miles to construct the pavilion on site. The builders did not use nails in the construction of the pavilion. Ground was broken at a ceremony in November 2009. Construction of the pavilion was completed in September and dignitaries including San Antonio Mayor Julián Castro, Gwang-Ju Mayor Kang Woon Tae and Dr. Louis Agnese attended the ribbon-cutting and dedication on Oct. 29.